A few weeks ago Cambridge Harriers held their 10 mile cross country race in Joydens Wood. Paul Collier had a great run finishing 4th, Paul’s brother Mark also had a good run finishing 18th, the other Bexley runner was Chris Gosden who finished 42nd. The week after this the Kent Schools cross country took place in Dover. Great runs here from Ted Higgins in the Senior boys race finishing 6th and Jalen Pople 9th in the Inter boys, both now have good chances to be selected in Kent’s team for the English schools cross country. Other results from this event were Luke Harry finishing 42nd in the Junior boys. Tiffany Singhai came 21st in the Inter girls and Tiffany Fapetu was 21st in the Senior girls, in the Junior girls Olivia Hale came 52nd, Laurel Broughton 59 and sister Maya 80th. Jack Higgins 12th, Matthew Crane 24th and Regan Thomas 33rd followed Ted in the Senior boys race. The next race after this was the South of England Cross Country Championships at Parliament Hill on January 26th. Unfortunately a combination of factors meant we didn’t have many runners out for this event. First race was the U15 boys and another solid run from Jalen Pople who continued his consistent form finishing 18th. Our other runner in this race was Ewan Beet he finished 272nd. Next came U13 girls we had three of our regular runners in this race Maya Broughton, Heather Beet and Laurel Broughton and they finished 274,277 and 285. U13 boys followed Luke Harry had another steady run, he has been consistent all season he finished 121 in this race, Rashid Singhai was our other runner finishing 289. The U15 girls race saw Tisha Singhai in 257 and Kacey Mai Smith in 289 both found the hills very tough. In the U17 boys Ted Higgins was at the back of the leading group in the early stages, they were directed wrongly on their first lap so to make up did the shorter lap on the second circuit, Ted ended up finishing 60th and Matthew Crane followed in 164. In the U20 men Mitchell Horne started well but had to drop out with a sore knee Regan Thomas was our only finisher in 97th. We didn’t have any runners in the senior women’s race and only two senior men, cross country stalwarts Kevin Winch and Chris Gosden completed the gruelling 9 miles and finished 1129 and 1135. The last Kent League cross country fixture took place on Sat 9th Feb. Just two races Senior women and Senior men. This was on a new course at Norman Park, Bromley. It was particularly windy which made running much tougher. In the women’s race Victoria Croucher managed her best ever Kent League position finishing 5th, this meant she came 3rd overall in the aggregate points total over the four league matches, a great achievement. Geraldine Legon and Sarah Dodds ran round together, Geraldine finishing 90th. Sarah wasn’t able to count as she hadn’t been registered for the Kent League. The Senior men followed and we had seven runners competing. Joe O’Hara had a good run finishing 22nd, Joe has run in all four Kent League fixtures and finished 10th overall in the individual league table. Next Bexley runner was Martin Smith in 55th, then Martin Jenner in 93rd, Mark Collier 109th, Jim Faulkner 144th, Chris Gosden 147th and Kevin Winch 151st who then went off to do a hike as you after a 10K cross country. 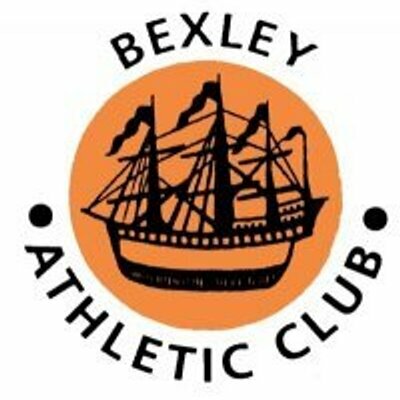 Bexley finished 8th team in the four to score team event for this match however finished 5th overall over the season which was a good achievement just ahead of Cambridge Harriers. Just a few cross country races left now, the National is on Feb 23rd in Leeds, the English schools are in March and Ted Higgins and Jalen Pople should be in the Kent team for that.